The Rep Day program brings Members of the National Assembly and Members of Parliament in Québec into classrooms for an engaging discussion on their role as an elected representative and current political issues. The goal is to establish a dialogue between elected representatives and their young constituents as well as to dispel trivial stereotypes of politicians, government and our democratic institutions. This program is part of a nationwide approach. Since the last federal election in 2015, more than half of all federal MPs from every province/territory and representing every party at the House of Commons has participated in this activity and engaged with more than 10,000 students. 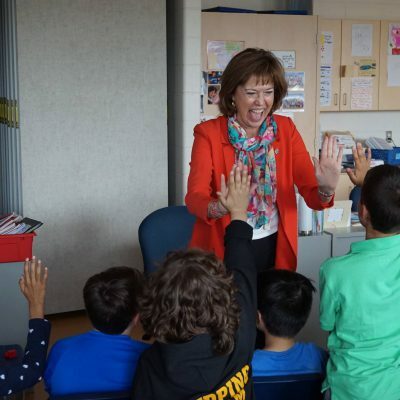 It is an opportunity for MPs to meet future voters in their ridings, establish dialogue on issues that affect them, and to listen to their concerns. Please contact the CIVIX-Québec team at info@civix.quebec if you would like to register for 2019, and we will be happy to arrange a visit to your classroom with your MP or MNA. Please click here to access ressources and lesson plans.